“They” say all good things come to an end, and it certainly holds true this Thursday as we hold our last club meeting at our long-time home, Culver City HomeBrew Supply. So, let’s go out in style. If you have a special beer to share, please bring it along as we toast the good times and thank Greg, Kevin, Craig and Tim for their hospitality. Where: Culver City Homebrew Supply, 4234 Sepulveda Blvd, Culver City. As always, we will have some interesting commercial examples. Kegs, bottles and growlers of the style of the month are encouraged, all homebrews are welcome. And, as always, besides the offerings at the fest site, there was an interesting variety of bottles shared at our campsite on Friday and Saturday nights. Kudos to Dean Sussman for the inspirational Saturday morning stacking of the leftover bottles from Friday Night’s Bigfoot Vertical. Additional campsite entertainment was provided by Joe Hogue, who demonstrated the mind boggling versatility of his homebuilt quadcopter. You won’t want to miss this year’s Big Brew, where you can watch some of our award winning homebrewers demonstrate the equipment that helps them make great beers. Are you an extract brewer thinking about moving to all-grain? Are you looking to upgrade the equipment that you currently have? Parker will be there with The Grainfather, and Carl is going to fire up his reboiler that will have you ducking for cover as you look for the Santa Monica Airport-bound jet that missed its approach. Andrew, Michael, and Nathan are scheduled to be on hand with their brew rigs, and there is room for 1 more. If you would like to show off your system, send an email to Carl (competitions @ pacificgravity . com) and reserve your spot. All-grain and extract brewers are welcome to brew. If possible, arrange with Carl (see email above) to drop off your equipment at on Thursday or Friday. Please do not show up at Carl’s at 7am. Bring your own hose for chilling. Plan your schedule to be finished (wort in the fermenter, equipment packed up) by 5pm. Please bring beer. We will be setting up The Wave and the expansion module for kegs. Of course, growlers & bottles are always welcome. Lunch: We will be firing up Carl’s iconic Weber and cooking up some burgers and hot dogs. Sides, salads, snacks, and dessert will be welcomed. Please drop a note to the board (board @ pacificgravity .com) if you can bring something. Time: All grain brewers should plan to start mash-in around 10am. Extract brewers can start later. (if using shank + faucet) attach faucet to shank fitting. A couple of Jockey Boxes will be on display at the Big Brew, and a sign-up sheet will be available. If you cannot be at the big brew, but wish to order the hardware (except for the cooler, which you provide), please send me an email (vice-president @ pacificgravity .com) and advise how many of each of these pieces you would like (prices approximate). If you already have some of the pieces (e.g. clamps, shank & faucet), you do not need order with us. 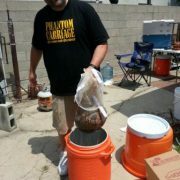 Please bring some of your homebrew to the meeting and events. Dues are $36 per individual, $54 for couples. If you haven’t paid yet, please do it at the meeting. Do you know of a local venue that would allow us to hold our monthly meeting and share our homebrew? Do you have a decent sized backyard that could host 30-50 fellow club members for a meeting? If so, please drop us a line at board @ pacificgravity .com), or talk to one of the board members at an upcoming event. This Friday (May 4) is First Friday! And It’s a Classic! There were quite a few growlers and bottles floating around, too. Thanks to everyone who shared. We are less than a week away. It’s going to be a hot day! I will be sending out a final email on Monday or Tuesday. Still in town for Memorial Weekend? Come on over to the annual Big Brew and check out the brew rigs of your fellow PG members in action, including the system that Carl uses to brew his award winning beers. All Grain Brewers should plan to start mashing in around 10:00 am. Extract brewers can start later. If you secured a spot to brew, arrange an equipment drop off time with Carl (competitions @ pacific gravity . com) on Friday. Please do NOT show up at 7am on Saturday and expect a warm greeting. If you haven’t signed up already, please respond to me at: vicepresident @ pacific gravity.com and advise how many of each item that you would like us to order. For the shank & faucet option, advise how many shanks and how many faucets (e.g. if you want to purchase your own faucets). An era comes to an end: it’s been a great 20+ years, but our May meeting is the last one we will be holding at Culver City Homebrew Supply. Our June and July meeting places are already set (jockey box day and summer party, respectively), so we will need a meeting place for August. If you know of a meeting place on the Westside that has room for 30-50 people and will allow us to share homebrew on-site, please drop a line to: board @ pacific gravity.com. Kegs, bottles and growlers welcome. If you are not going to the fest, but can donate a keg, please bring it to the meeting. We will return the keg after the fest. If you would like to be part of the meal plan, please respond to the email I sent last week. Cost is $25 for Friday/Saturday dinner, Saterday/Sunday breakfast. Pack up your brewing system and head over to Carl’s place for our annual Big Brew. The first 6 responders to his email (competitions @ pacific gravity . com) are guaranteed a space to set up your rig. Other space will be allotted on an availability basis. All-grain and extract brewers welcome. This is your opportunity to see the brew rigs of fellow PG members in action, including the system that Carl uses to brew his award winning beers. If you secure a spot, it would be helpful if you could drop off your equipment the day before. Arrange a drop off time with Carl (competitions @ pacific gravity . com). This is the event many of you have been waiting for! You, too, can have your own jockey box, perfect for serving your homebrew at family outings, friends’ houses, or in your own backyard. We will start taking orders for parts (excluding cooler) at the meeting. The parts cost per beer line (stainless steel tube, beer line, clamps, ball lock, tap) range from $47 for a picnic tap system, to $80 for a shank and basic faucet system (forward seal faucets are higher). Please bring some of your home-brew to the meeting. As you know, Culver City Homebrew Supply, our longtime club meeting place, will cease business by the end of May, 2018. We are looking for a place to hold our monthly club meetings. If you know of a local Westside establishment with a large meeting area where we can share our homebrew, or even if you would like to host meetings in your backyard, please email the board (board @ pacific gravity . com) or talk to one of the board members at Thursday’s meeting. MONSTER BREW, MARCH 3: RESERVE YOUR WORT NOW! There are just a couple of days left for Pacific Gravity members to reserve Monster Brew wort. We will be reaching out to the other homebrewers clubs in the area on Saturday, February 10, 2018.
http://pacificgravity.com/wp-content/uploads/2015/01/pg_logo.png 0 0 terrym http://pacificgravity.com/wp-content/uploads/2015/01/pg_logo.png terrym2018-02-07 22:44:532018-02-07 22:44:53MONSTER BREW, MARCH 3: RESERVE YOUR WORT NOW! On March 11th, 2017, Smog City Brewing Company and its Brewmaster, PG’s Jon Porter, will be hosting their Fourth Pacific Gravity Monster Brew! Update: We have plenty of wort! If you want to order more batches, they are available!! Jon Porter and Carl Townsend have developed the base wort for this event with an English theme. But, keeping with past monster brews, the recipe can be the base for whatever creative endeavor you might want to do. Consider this your blank slate. For the hop heads, boost up the bitterness with your favorite English or American hop tea to make an awesome IPA, or darken it up with roasted malts to make a porter or stout. Use your imagination to make the most awesome beer ever. Each person will need to pitch a yeast of their choice, add adjuncts to the wort, dry hop in secondary, or do nothing special to it at all. You can always contact Carl at Competitions AT pacificgravity.com for any suggestions and look for Carl’s article can work on “How to Modify my Monsterbrew”. How Do I Modify My Monster Brew? This Month’s Question: How do I modify my wort from the Monster Brew at Smog City Brewing? I hope you are all planning to join us at Smog City Brewing Company’s sixth Annual Monster Brew, Saturday, March 9th, 2018, from 7:00 AM to noon hosted by our very own Jon Porter. We’ll be brewing up a batch of European wort. Where it goes from there is up to you! We’re hoping to have as many variations on the theme as possible for upcoming events such as club meetings, Southern California Homebrew Fest, and the summer party. http://pacificgravity.com/wp-content/uploads/2015/01/SmogCityLogo.png 400 400 Carl Townsend http://pacificgravity.com/wp-content/uploads/2015/01/pg_logo.png Carl Townsend2016-02-21 15:00:462019-02-21 15:35:15How Do I Modify My Monster Brew? On March 5th, 2016 @ Smog City Brewing Company and its Brewmaster, PG’s Jon Porter, will be hosting their third Pacific Gravity Monster Brew! About the date, Yes I know its backed up to PG’s First Friday at Irish Times, but March 5th was really the best available date for PG and Smog City. So Club Member Up and make it one amazing PG event filled weekend, but make sure to plan ahead doing any Yeast starters. Jon Porter and Dan White will be developing the base wort for this event with the theme “English”. A marris otter base, with just a small amount of carafoam and acidulated malt to keep ph in spec. This will be a great starting point for just about any lighter beer. Keeping with past monster brews, the recipe can be the base for whatever creative endeavor you might want to do. For the hop heads, boost up the bitterness with your favorite English or American hop tea to make an awesome IPA, or darken it up with roasted malts to make a porter or stout. Use your imagination to make the most awesome beer ever. Each person will need to pitch a yeast of their choice, add adjuncts to the wort, dry hop in secondary, or do nothing special to it at all. You can always contact Carl at C[email protected] for any suggestions and once we have the actual recipe values Carl can work on a “How to Modify my Monsterbrew” post. The cost will be $30 for each 5 gallons of wort. Everybody will be guaranteed 1 batch, and if mash volume permits, a second or third batch. Please sign up as soon as you can, by dropping an email at [email protected] or singing up at the next club meeting on Feb. 18th. Yeast and any additional ingredients you wish to add are not included. You can bring your yeast to the brewery, or pitch it at home. If possible, please pay in advance. You can Pay at our next Club Meeting Feb. 18th or you can drop off a check at Culver City Homebrew Supply. Be sure to include title on an evalope “Monsterbrew Smog City” your name, telephone number, and E-mail address. All checks made out to Pacific Gravity Homebrew Club. Lastly you must pay in full at the day of the monsterbew. We take Cash, Check, and Credit Card payments. If you paid in advance, but find you cannot attend, a 24 hour notice must be given in order to obtain a refund. 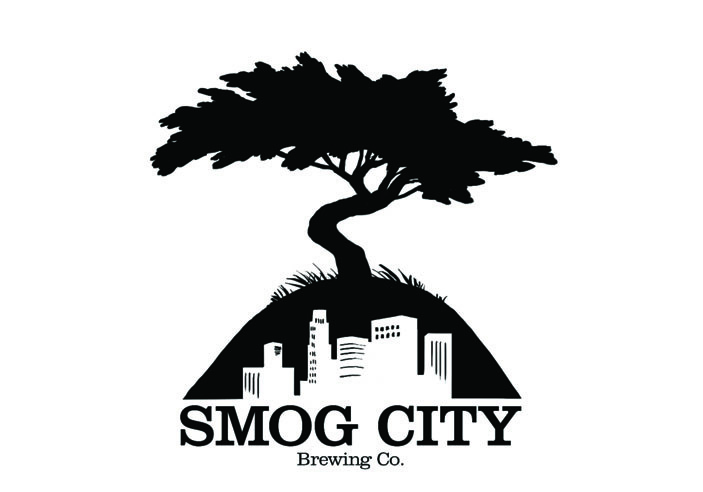 On event day, all monies collected will be given to Smog City Brewing. Such notice may be sent to Pacific Gravity Treasurer, Tim Bardet at [email protected] or to the current board members at [email protected]. Some of us may want to purchase more than 10 gallons. Initially, only 5 – 10 gallons may be purchased. However, if there is wort left over at the end we will hold a lottery to determine who may get an additional 5 gallon allotment. Bring an extra fermenter if you are interested. Don’t forget to bring a sanitized fermenter for each 5 gallons you buy! Fermenters MUST be either plastic or stainless steel. Absolutely NO Glass fermenters will be allowed in the brewery due to the danger of breakage on the tile floor. You may bring small glass vessels with yeast or other additions, however. Please make sure you fermenter has a wide opening so we can use the fire hose when it is time to pour in the wort. Plastic buckets are ideal, but you can use a Cornelius keg if you want. Please do not bring any skinny-neck containers. Our aim isn’t that good! Please park on the WEST side of the building to keep the tap room lot open. The tap room will be opening to the public at noon. Smog City will have coffee and other breakfast items in the morning. As well Porter will arrange for a food cart later that afternoon. In addition Porter will be supplying tasting samples of some of his fine brews during the mid morning. Cut off time for free pours will be determined by Porter. Probably close to 11am, after that beer will be available for purchase. AND REMEMBER TO TIP YOUR BEERTENDER!!! EVEN WITH FREE BEER. Thank you and we will post more info about this event as is comes, also at some point we will open it up to the other clubs around the area. Meeting Recap: You can still vote!! Thank to all who came to our Annual Chili Cook off and Election meeting this past Saturday. We had 10 chilis to taste and judge. All were amazing, but Neil Saund took home the prize for best chili, with Michael Musgrave’s as runner up missing the tie by one vote. A fabulous Pumpkin Mole by Parker Waechter won most unique chili. Also going on at the meeting was brew led by our very own Dan White who made Carl Townsend’s Weizenbock that we had the privilege of brewing with Firestone on Halloween. We ended up with 18 gallons of beer that was put in 4 carboys. Carl and Dan plan to ferment each one with a different yeast. 6 gallons will be fermented with Bavarian Hefeweizen yeast, 5 with American Hefeweizen yeast, 5 gallons with both Bavarian and American Hefeweizen yeasts, and 2 gallons with dregs from Firestone Feral One, Russian River Consecration, and Allagash Farm to Face. help keep this club heading in a direction that benefits all members and see the growth of our passion, homebrewing. Finish the current ventures, that the current board has started, as well as bring back some of the old traditions we’ve lost, and hopefully start some new ones to come. help promote home brewing by bringing back the monthly style home brew competition, where club members bring their home brew in the style of the month to have the chance to win a gift certificate to the Culver City Home Brew Store. work on accomplishing our goal of becoming a 501(3)(c) non profit. Our friendly club culture has drawn her to more and more meetings and events, and is proud to be a member. Having spent time with the current treasurer, Ramesh, she feels that she knows and is prepared for the position duties.Would be honored to take over as Treasurer. If you were not able to attend the meeting, please send your vote no later than Saturday November 21st to [email protected]. We discussed at the meeting that the holiday party on December 12th will require lots of volunteers for set up, clean up, food and beer. Stay tuned for where to sign up. Thank you to all who contributed to a successful meeting by bringing chili and beer. http://pacificgravity.com/wp-content/uploads/2015/11/vote1.jpg 600 800 Tad Johnston http://pacificgravity.com/wp-content/uploads/2015/01/pg_logo.png Tad Johnston2015-11-17 09:12:472015-11-17 09:12:47Meeting Recap: You can still vote!! The day will official begin at 9:00am and you’re more than welcome to come when you please at or after this time. If you would like to get there early and be involved with the brew, Dan White would greatly appreciate the help I’m sure. 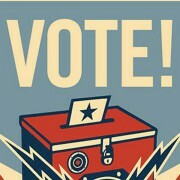 You must have your vote in no later than 1 week (November 21st) after the event to have it count. You also must be a member with current active status and dues paid in full in order to vote. As usual, we will have a “Most Unique Chili” and a “Best Chili” so please plan on voting for both when trying each chili. More info on this month’s club meeting can be found here.